This past week SeaWorld San Diego got some bad news: the California Coastal Commission, which oversees construction projects on the state’s coast, moved to ban the breeding of captive whales. The decision could force the park to make some profound changes. 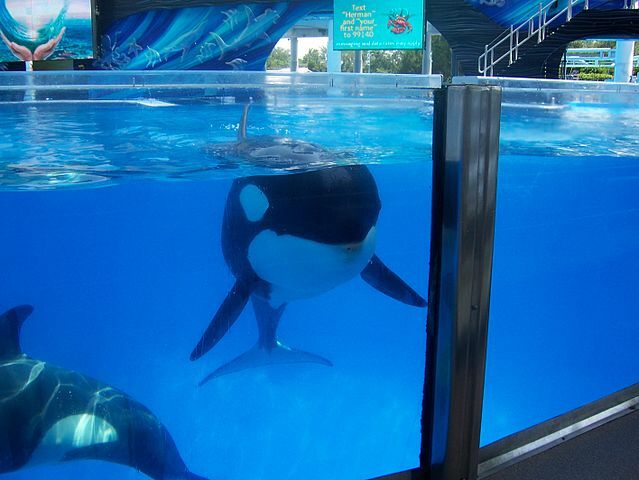 The Commission’s decision came along with its approval of SeaWorld’s latest expansion project, called “Blue World,” which, according to the park’s webpage, would “[Advance] the global understanding of killer whales, educating and inspiring conservation efforts to protect those in the wild.” The project would more than double the size of the orca holding tanks in the San Diego park. But the expansion can only move forward on the condition that SeaWorld cease its captive breeding program, and also the sale or transfer of killer whales. This puts management at SeaWorld in an awkward position. The park is still reeling from the impact of the 2013 documentary “Blackfish,” and many saw this expansion project as a public relations move. If the park backs away from the project now, it may communicate to an already wary public that SeaWorld is only interested in giving its 11 orca a bigger home if there is potential to continue breeding them, and profiting from them. SeaWorld could decide instead to move forward with the project, slated to cost around $300 million, and sue the Commission to overturn the breeding ban. However this would risk further diminishing the park’s already sinking reputation and revenues. As the San Diego Union-Tribune reporter Dan McSwain said in his coverage of the story, it was a mistake for SeaWorld to double down on its killer whale exhibit. Public opinion has been shifting away from captivity exhibits for years now, and the company needs to change with the times. One option might be to reinvent the park as a sanctuary, similar to the Marine Mammal Center in the Bay Area. It already has a robust marine animal rescue program and scientific research center. Now the SeaWorld’s management need to figure out what the park’s real purpose is.